More than 9 years of experience in digital industry. Since June 2012 incessantly CEO of 180 Creative. Big fan of running and healthy nutrition. Addicted to reading biographies. 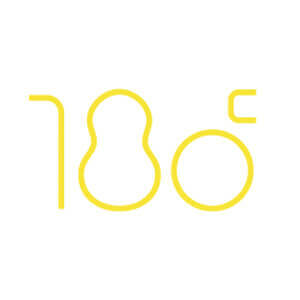 180 Creative was established in June 2012. Since then we managed to extend our brand to international markets We have been working with the clients from more than 12 countries and 4 continents. Time zones aren’t an obstacle for us. Our company established unique management system and guarantee system. The clients are provided with the products of the highest quality as well as 12 month warranty. The clients’ satisfaction is our best recommendation. Our scope of expertise is creating complex native mobile apps as well as hybrid ones. We are specializing in native apps in iOS, Android and Windows Phone. We acquired competence in creating mobile apps using hybrid methods like iconic framework or Angular.js. We are determined to follow new trends which are emerging on the market right now when it comes to coding and the influence of mobile apps on everyday life. We are able to predict what will be appealing in the future. Having that knowledge we can propose unique solutions which may be not popular right now but are about to bloom in the near future. Thanks to that, our apps are always coherent with the requirements of the current market and with the growing needs of the users. Everything depends on the clients’ requirements and goals. We, as 180Creative, strongly believe that if something can be done more cheaply without losing its quality, it is the right thing to do. Hence we are more in favor of hybrid apps than native ones, however, we are competent in both. In 2018 we are going to extend our scope of our activity for sure. We want to answer to market’s needs by adding a few additional services in the scope of 3 coming years. We won’t share more details so that we can surprise our clients and the competition. At the moment, we are in the process of creating a special chamber, which will broaden the scope of our services in the near future. It is still the work in progress though. A lot has been changing in the area of technology but we are ready for everything. As I have mentioned before, we want to keep it secret and enter the market with a huge surprise. 180 Creative swears by two pricing models. Time and material and fixed price ( the budget is established in advance). We are flexible to our clients’ needs and project’s needs. As we observed recently, everything comes to the point where mobile apps are used widely on the daily basis. From household appliances, dating, travelling, banking and learning to cooking, health issues and security. Almost every area of humans life is now supported by apps. We are positive to say that smartphones will be replaced by something more intuitive In the future. Building a company in the IT industry has to be based on the model which can be convertible and easily transformed to program other appliances such as cars, robots and household appliances. The most interesting ones are cars and travelling. The car are based on more and more intelligent technology. Airplanes, which are accelerated by the HyperLoop, still amaze us and catch our attention. At this moment we are not extending the scope of our services. However, we are planning to do it in the near future. As I said, the work is in progress.The only thing we can share is that we will be focusing on coding for household appliances which seems the most reasonable direction for our company.